Ginger Tea with Milk is a very invigorating beverage to start your day with. Simmered with garden fresh ginger root and boiling water, this tea gives a great boost to your mood as well as appetite. This soothing, fresh ginger tea gets ready under 20 minutes and hence I recommend that you should surely wake up to this every day! Here is how to make Ginger Tea with Milk. Indians or not, when it comes to beverages, tea and coffee are our most sought-after drinks to get us going every day. Ain’t I right, fellas? And especially Tea or Chai as it is called in India has a totally different zing that gives a nice kick to call it a good morning. Ginger Tea with Milk or Adrak Wali Chai doesn’t need an introduction in any Indian household. A mug filled with Adrak Wali Chai and plateful munchies is just what you need to unwind yourself after a busy day. 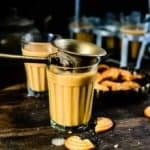 I love to savor this Indian milk tea recipe especially during the monsoon when the air is moist and cold and your favorite Adrak Wali Chai gives you that much needed warmth. Oh, and if you even make some crispy Pakodas or Samosas along with this tea then what else do you need? Ginger tea is so easy to make that you could make it for yourself and your family every morning or evening within minutes. If you are a working woman or a homemaker, trust me, preparing this tea will completely fit your busy schedule. 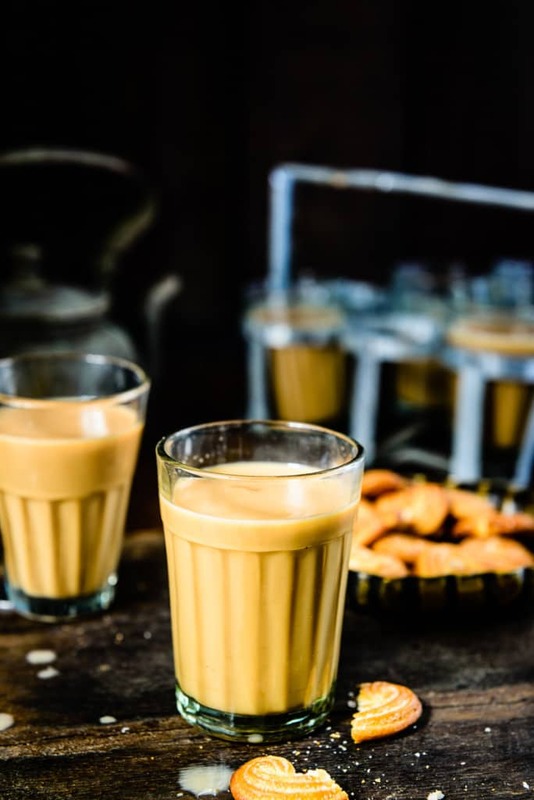 There’s simply no denying the fact Thai Iced Tea, Kahwa is slurp-worthy always but nothing really beats this Asian herbal concoction that is Ginger Tea Recipe. It is not only popular throughout Asia but it is also liked in the Middle East. Ginger Root Tea or Homemade Ginger Tea is fairly simple to make. And considering that there are so many benefits of drinking it, it really makes sense to sip it as often as you can! Use fresh ginger to make Ginger tea. Dry ginger powder has avery different taste and I personally love it in my curries but not in tea. You can increase the quantity of ginger if you like really strong flavour. Add the milk only once the water and ginger has nicely boiled. If you add it before, the milk might curdle. You can add more milk if you like it. I like my tea very strong hence I always add less milk to it. You can also add a pod of crushed cardamom, cloves and nutmeg powder to your ginger tea to elevate the taste. A few pinch of this Chai Masala Powder will only add to the taste. So go ahead and add some in your ginger tea too. Use best quality tea leaves to make ginger tea.This is what I use. 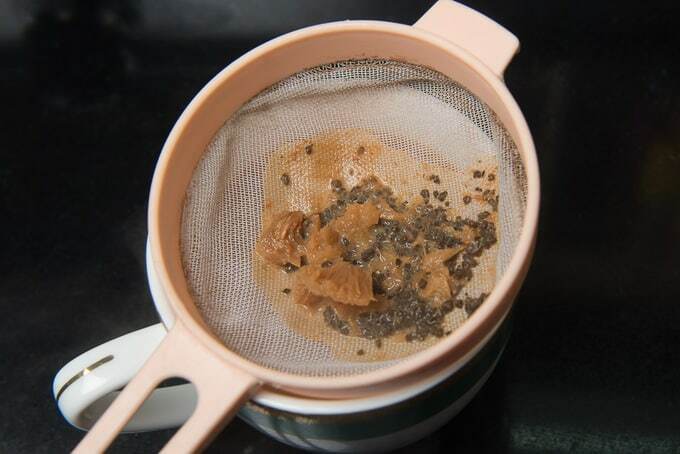 Use a fine mesh strainer to strain the tea otherwise the powder from the tea will come in your cup which is not a good idea. Check this one here. Ginger itself is a great remedy for common cold and cough but adding a few more ingredients to your everyday ginger tea will make sure you get rid of the cold very fast. I like to add some crushed peppercorns, cloves, a few leaves of tulsi or holy basil and cinnamon to my ginger tea if I or my family members are down with cold. Try this trick and see the effect yourself. You can also add turmeric powder to your tea for even more health benefits from it. How to make Ginger Root Tea at home? Heat water in a pan and then gently add ginger, let it boil for a good minute. 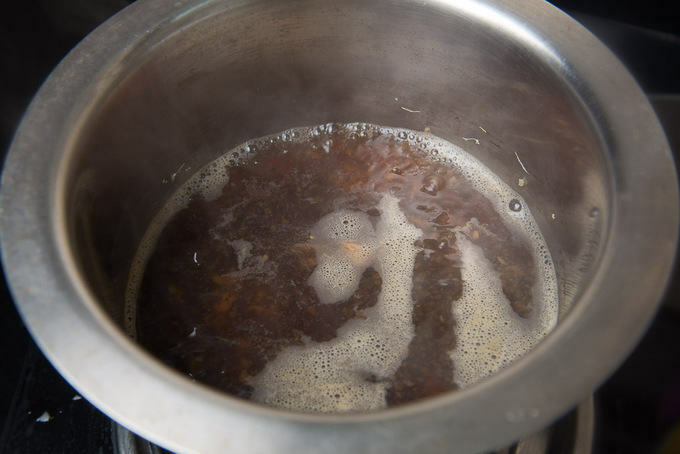 Then, add tea leaves, sugar to the concoction, again let the mix boil. Finally add milk to it and let it boil again. Strain the mix and your cup of refreshing Ginger Tea is ready! 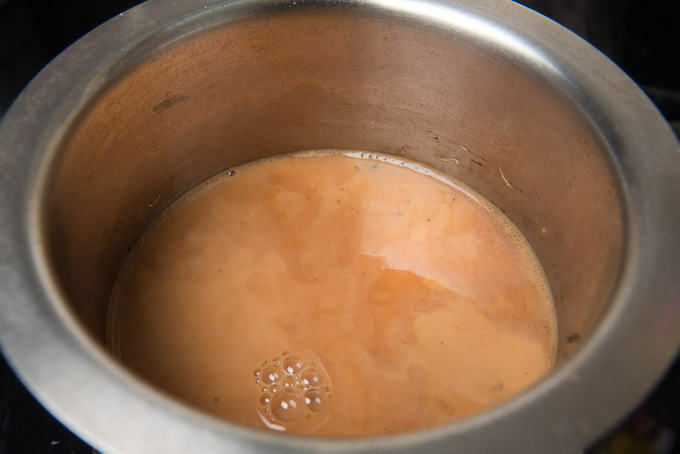 You can enjoy a piping hot cup of this tea as it is or serve it along with Corn Pakoda, Bread Pakoda, Palak Pakoda, Chawal ke Pakode, Non Fried Onion Pakoda or even Matar Kachori. Do read my recipe to make this simple yet super healthy tea at home, people! You would sure love it! And just to add more to your general knowledge, let me tell you, ginger cures nausea and even morning sickness. 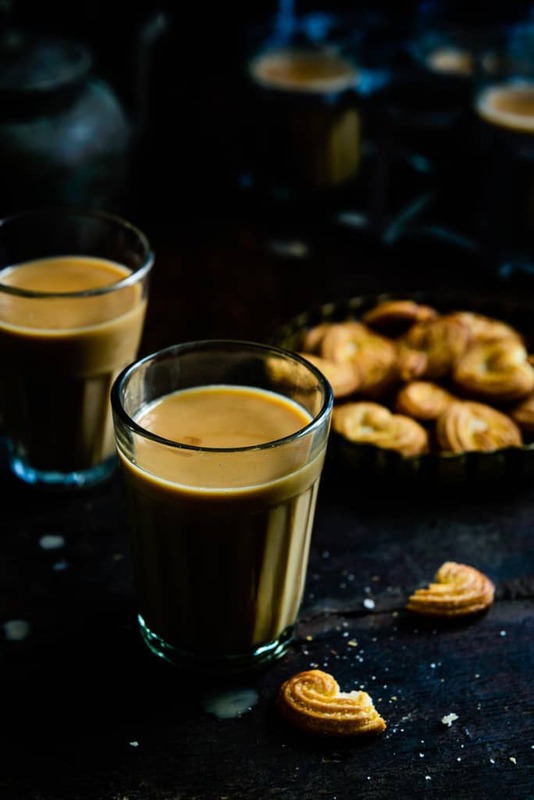 Now, you surely need to drink a cup of piping hot Adrak Wali Chai to beat the blues. Ginger even by large reduces muscle pain, lowers blood sugar, reduces risk related to heart diseases. Ladies, ginger powder even helps in reducing menstrual pain. So, from tomorrow don’t forget to drink a large, piping hot cup of Adrak Wali Chai, you are definitely making your health better with the help of ginger. It’s time to take note of this recipe and quickly make it today for the supper! Heat water in a pan. Once it comes to a boil add ginger and boil for a minute. Add sugar and tea leaves and boil for a minute. Add milk and boil for another minute. Strain the tea in tea cups using a strainer. Ginger Tea is a very invigorating beverage to start your day with. Simmered with garden fresh ginger root and boiling water, this tea gives a great boost to your mood as well as appetite. 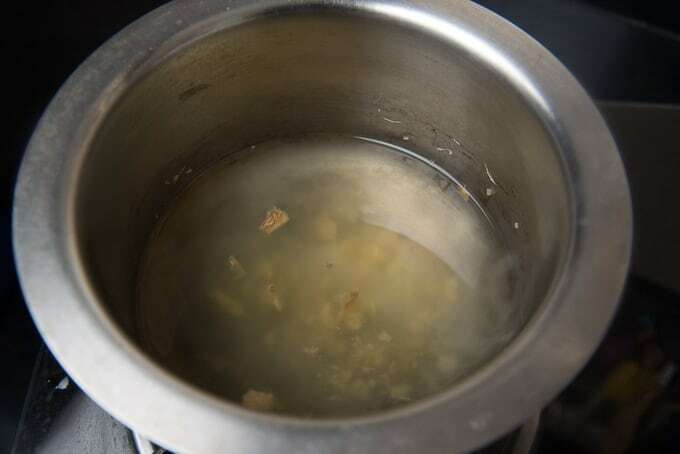 Once the water comes to a boil, add ginger in it and let it boil for a minute on low heat. Add tea leaves and sugar and again boil for a minute. Now add milk and let the tea boil for another minute. Strain using a tea strainer and serve immediately. 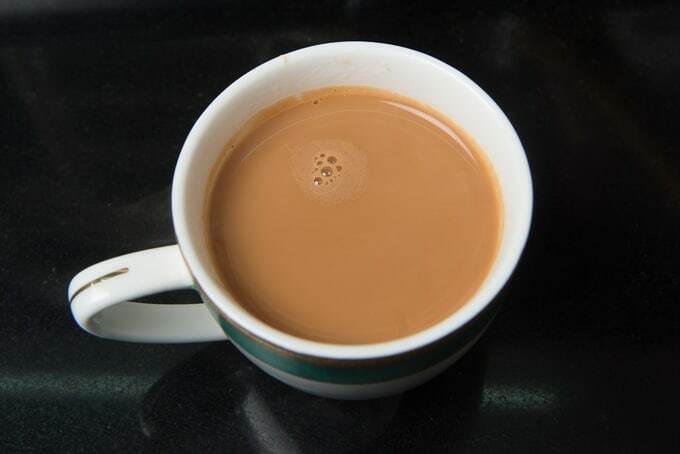 I like adrak chai so much that I can have it anytime. 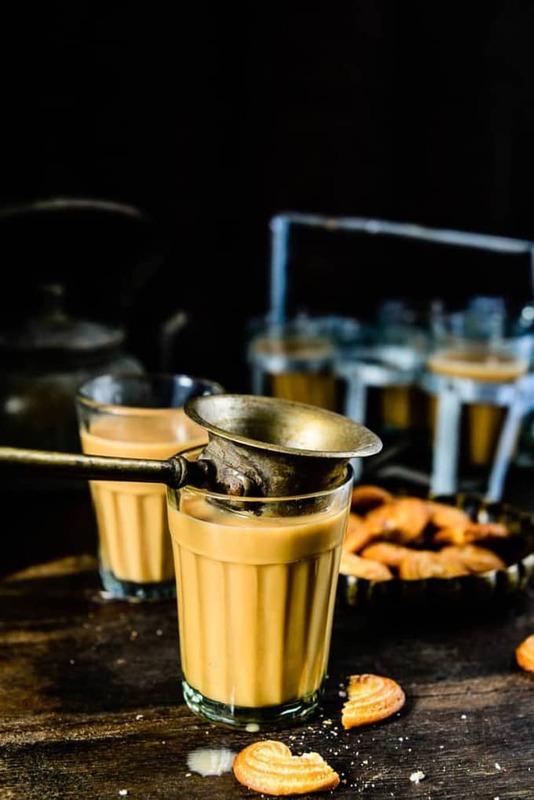 even if its summer time and someone offer me adrak chai I am ready to go for it. Just had my cuppa.. Like it really spicy so a lot more ginger goes in. I also have a spice mix of Nutmeg, mace, cardamom which just a pinch addded to boiling water wt ginger gives some beautiful flavors n smell.